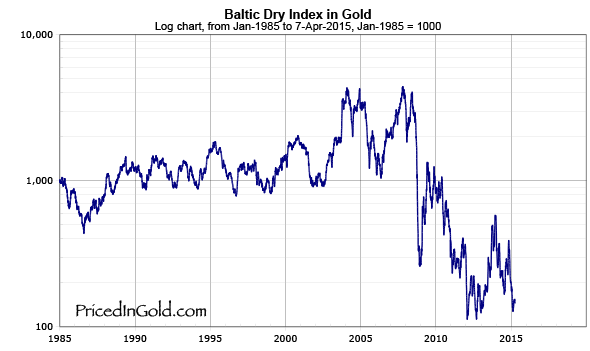 Would it be possible to continue the Baltic Exchange Dry Index Series. It is a useful indicator for commodity business activity, and sentiment. Hi Ben, I'll see what I can do. The site I was using for data no longer allows downloads. If you know of a site that has historical data on the BDI that I can download, I will be happy to update it. Thanks! 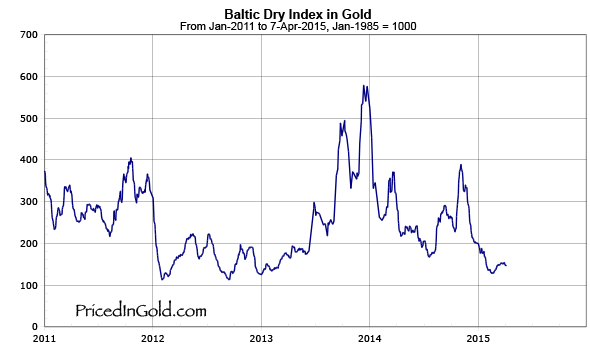 The Guggenheim Shipping ETF (SEA) could be used as a proxy for the Baltic Dry Index. Data goes back to June 11.2010, when this ETF started trading. It would be useful to track this index – it is an important indicator of the Global Economy and how things are REALLY doing – independent of the nonsense spun by the main street media and Wall Street!